Kissinger sighted at the UN – excelent reporting by Matthew Russell Lee – no content but true to the atmosphere – something his detrectors do not match. UNITED NATIONS, May 7 — It was inside the UN, but there was no sign on the door. In Conference Room E of the Temporary North Lawn Building, Inner City Press was told, Henry Kissinger was speaking. Having covered, in the time of Occupy Wall Street, a mock award ceremony for Henry Kissinger held in front of a midtown Manhattan hotel (video here), Inner City Press had a sense there could be news: Kissinger in the UN! Again! And so Inner City Press set up shop at a Cafe Austria table in front of Conference Room E. The electronic blue sign which usually announces what’s taking place in a UN meeting room — the Law of the Sea, or even sometimes, “Questions about Information” — was blank. There was a paper sign on the door itself, DPI-NGO, but that event (which Inner City Press also covered, in the context of an internship with an NGO inside the UN being auctioned off for $26,000) was over. A UN Security medical officer arrived, to unfold and man a wheelchair, along with two bodyguards. Two of the three looked skeptically at Inner City Press. But it is an open area. There have been other sightings by Inner City Press in the UN this year: Judith Miller of Iraq and New York Times fame, here in the time of Syria and chemical weapons, on April Fool’s Day no less. There are many orders in the UN, usually by the UN or its allies, on what to publish. This one, we will respect. What remains is a picture of the wheelchair sans Kissinger, here. AsUN Stonewalls on Abyei, Who Leaked the Route, Misseriya Disposition? UNITED NATIONS, May 7 — What are this UN’s priorities, when it comes to the death of a UN Peacekeeper in Abyei and at least five questions left unanswered? On May 6, Inner City Press asked the chief of UN Peacekeeping Herve Ladsous, did the UNISFA mission under this command provide notification of its travel, in which at least one peacekeeper and paramount chief Kuol Deng Kuol were killed? So Inner City Press submitted several questions in writing to the UN’s top three spokespeople. But they did not answer, even as on Tuesday morning Ladsous’ spokesman Kieran Dwyer was giving information to other scribes, not about the death in Abyei, but other peacekeepers, in the Golan Heights. Priorities. Inner City Press: I wanted to ask you about the death of the peacekeeper in Abyei. I had sent you some questions, but I need to ask them [here]. One, did UNISFA [United Nations Interim Security Force in Abyei] give notification of its travel? Two, how large was the protection element? There have been some complaints now by South Sudan that it wasn’t large enough. And what were the casualties to the UN’s knowledge on the Misseriya side? Spokesperson: The last part: that we are not aware of the casualties suffered amongst the assailants, those who attacked that particular group. I don’t have anything further beyond what we have already given to you both in this room and subsequently by e-mail. If that changes, I will certainly update you. Spokesperson: I said if I have anything further, I will certainly update. Do you have some other question, Matthew? In firefight it’s reported in Sudan that 17 Misseriya were killed and 12 injured. a) What were the numbers and weapons used on each side? b) What happened afterward with the remaining Misseriya? Did the UNISFA take prisoners, or disarm the remainder of the group? Did they get identities of the ambushers? c) Did they find out who leaked the route of the convoy? Is it even worth sending questions to the UN, when Ladsous openly refuses to answer questions and the disease seems to be spreading and, incidentally, hurting the UN? Israel to help South Sudan Agriculture. Israel to build model farm in South Sudan. ‘We happen to be experts in some fields and it’s wonderful to be able to contribute to the process of nation-building,’ says the Israeli ambassador. Mashav, Israel’s international development agency is already helping to provide African nations with sustainable agriculture. Israel is planning to build a model agricultural village in the new nation of South Sudan, aimed at teaching local farmers how Israel’s breakthrough agricultural methods and technologies can help the fledgling African nation survive and thrive. The idea took shape when Deputy Foreign Minister Danny Ayalon got to talking with South Sudan’s Minister of Agriculture, Betty Ogwaro, at the Agritech 2012 expo in Tel Aviv last May. Ogwaro recently told Koren, who travels to the year-old country frequently, that she wants the demonstration farm set up in Eastern Equatoria, one of the 10 states comprising South Sudan. The problem is not a lack of arable soil or of water – South Sudan is blessed with an abundance of both thanks to the nearby Nile River and a relatively long rainy season – but a lack of expertise. As it happens, many Sudanese refugees who sought better lives in Israel over the past few years were placed on kibbutzim where they learned advanced Israeli methods of farming and drip irrigation. Now that many of these refugees are being repatriated to South Sudan, the Foreign Ministry is hoping to integrate them directly into running the new agricultural project. The ambassador has assigned as project manager Dr. Yossi Baratz from MASHAV, Israel’s international development agency. Baratz, a physician, formerly served as the agency’s representative in Kenya, and in 2010 oversaw the inauguration of an Israeli-built emergency room at Kisumu East District Hospital in that African country. Koren is hopeful that the farm can be started at the beginning of 2013, and will eventually involve Israeli agricultural experts from the private sector. “The idea is approved and now we need to make it come true,” he says. 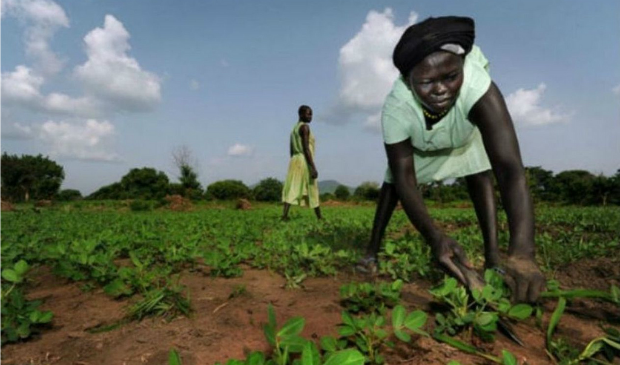 The project budget will come entirely from the Israeli government, and is intended as the first of several agricultural projects in South Sudan. The country’s population is about 8.5 million, similar to Israel’s, but spread out over a very large territory. It is possible to compete under the Olympian white flag with the rings. Guor Marial who escaped from Sudan where he lost 8 siblings lives in the US and his remaining family is in South Sudan – the newest member State of the UN, but yet without standing at the Olympics. He will thus represent all of us. Guor Marial: A man without a country on world’s biggest athletic stage. By Rick Maese, Saturday, August 11, 2012. LONDON — With no nation to represent and no countrymen to cheer him on, Guor Marial has a marathon to complete this weekend at the Summer Olympics. More than 3,500 miles away in South Sudan, his family will tackle an even longer distance. Marial, a 28-year-old marathon runner, hasn’t set eyes on his family since 1993, when he fled his home as a child in the midst of the Sudanese civil war. Lacking a passport for travel, he doesn’t know when he might be reunited with them, but Marial says members of his family are planning to watch him compete Sunday in the longest running event of the Summer Games. The slight problem: The nearest television is about 30 miles away from their tiny village. It’s the rainy season in South Sudan, and vehicles can’t pass on the rural roads that connect their village to the nearby town of Panrieng. So they’ll complete a marathon of their own, making the long walk with the hope of seeing just a glimpse of their long-lost son, an athlete without a country, finding refuge in these Olympics. Marial was just 9 years old when he said goodbye. 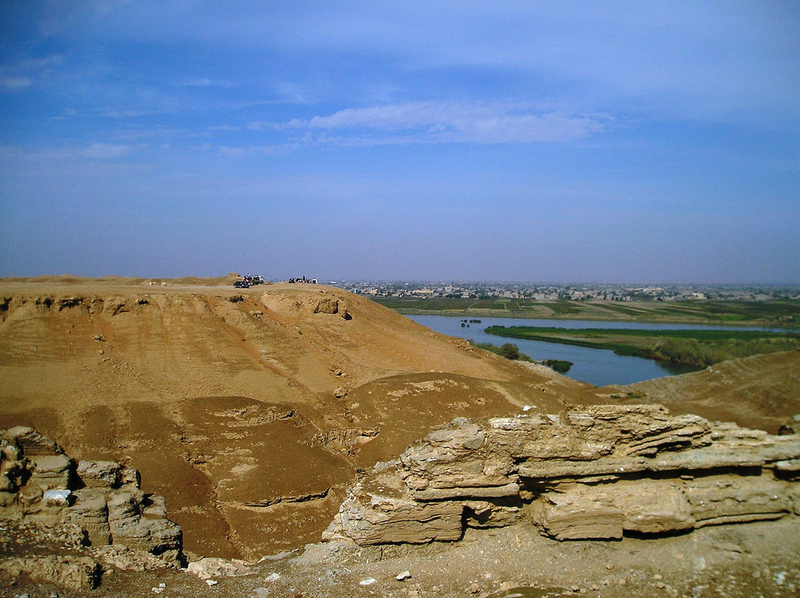 With great difficulty, he eventually escaped to Egypt, where he lived with an aunt and uncle. Then to New Hampshire, where he attended high school. And Iowa, where he enrolled in college. And now Arizona, where he lives, works and runs. But Marial doesn’t identify himself as American and certainly not as Sudanese. Just one week before the Opening Ceremonies, Marial learned he would be allowed to compete at these Summer Games unaffiliated with any nation. He’s running under a white flag that features the Olympic logo. Marial was born in the early stages of a troubled nation’s bloody civil war. His family now calls their home the Republic of South Sudan, the year-old nation carved out of so much strife and death. To compete at the Summer Games, a country must have a recognized Olympic committee. Forming such a sports organization wasn’t high on South Sudan’s to-do list in its early stages of countryhood. Last fall, Marial posted a qualifying time for the Olympics, and the International Olympic Committee (IOC) initially urged him to represent Sudan, whose Olympic committee extended him an invitation to join its team. But that was never an option, Marial said. Eight of his siblings were among an estimated 2 million people who died during the course of the war. Marial was just a child when he was kidnapped and forced into hard labor. There were no luxuries then and each day was focused around finding enough food to eat. “Survival of the fittest,” Marial calls it. The idea of running — competitive running — was foreign. The Olympics didn’t exist there because televisions didn’t exist there. Arata Fujiwara, who does not belong to a running club, coaches himself and trains for speed instead of endurance, is nevertheless considered Japan’s best medal hope in the men’s marathon in 20 years. We shall see if being an outsider can actually help to develop running technique. 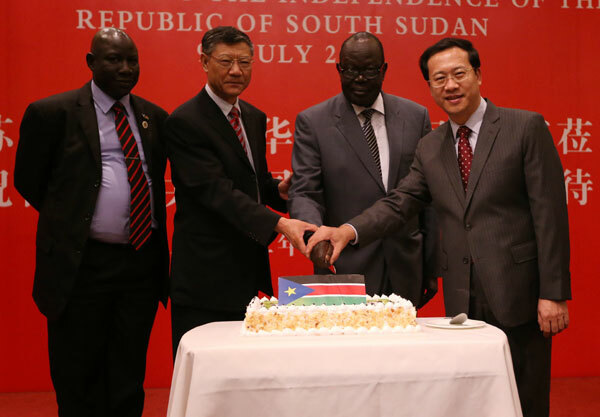 China Daily reports on South Sudan celebrating its first year as a recognized independent Nation. Nation looks to China for model, Xinhua writes. South Sudan celebrates year of freedom. of their fledgling nation, the world’s newest, to celebrate its first year ofindependence. driving around the city and honking horns to mark the anniversary ofseparation from former civil war foe Sudan. “It is a good day because it’s the first birthday of my country,” said Rachel Adau, a nurse, whoarrived soon after dawn to secure a place at the official ceremony, which took place at themausoleum of the late rebel leader John Garang. “Today is the day we celebrate when the people came out from the Arabs and liberatedthemselves,” said Michael Kenyi Benjamin, a student. shutdown of its vital oil production in a bitter disputewith Khartoum. such as roads, electricity and water-distribution networks, islacking. The outstanding issues, including the sharing of revenues of oil, were among the most prominent differences that prevented the establishment of normal ties between Khartoum andJuba. South Sudanese are also suffering from a lack of development and basic services, and fromhigh prices for basic commodities. that the security issue is still the major threat to thestability of relations between the two countries”. “Full normalization in relations between Khartoum and Juba cannot be achieved withoutexploring a settlement for security issues,” he added. The issues with the Blue Nile and South Kordofan areas as well as oil-rich Abyei should beresolved first, and then the two sides can search for an agreement that will restore pumping ofthe south’s oil through Sudan, he added. trouble adapting to the situation. a lack of infrastructures, while Sudan is suffering fromeconomic, security and political issues,” he said. Nation looks to China for model. new ambassador to China said on Monday. Given that China took three decades to transform itself into theworld’s second-largest economy, “I wonder how long it will takeus to develop. We definitely can learn something from China,”Yokwe said. China began to send teams of doctors to what was thenthe southern part of Sudan in the 1970s. The countryhas more than 3,000 Chinese there now, the ambassador said. An increasing Chinesepresence is touching local people’s lives through telecommunications, hotels and restaurants. “The friends who come when really need help are true friends,” he said. Chinese companies are also involved in the building of South Sudan’s infrastructure, the youngnation’s biggest priority, Yokwe said. developed -not only the oil, but also the agriculture potentialsand mineral resources such as gold, Yokwe said. South Sudan also is seeing more international cooperation and support in areas such asclean-water production and education, not just with China, but also the United States, Britainand Egypt, among other countries, he said. helps it to be more involved in the affairs of the continent,Yokwe said. Forum on China-Africa Cooperation, which will be from July19 to 20. It will be the first time South Sudan participates in the forum. its oil through Sudan earlier this year because of adisagreement over the charge to export South Sudan’s oil through Sudan’s pipeline. But Yokwe is optimistic about achieving a peaceful resolution to the current deadlock, as bothsides want peace and “we can all benefit from the oil”. And he noted the bilateral negotiationsare still going on. China will definitely play an important role in the mediation as a good friend of both Sudan andSouth Sudan, he added. Liang Liang contributed to this story. Global Warming that leads to Climate Change in he World. of primary interest to the press in general. To us this silence provided the main noise effect of the Press Conference, as we expected in February a word or two about what the UN calls Rio+20 in June. Thank you your Excellency President Fischer for your kind hospitality and kind welcome. I always feel at home whenever I come to Vienna not because I was serving as Ambassador many years ago but because this is another home of the United Nations .. the UN office in Vienna is one of the four largest missions in the world. And I’m very grateful for such strong support and commitment of the Austrian Government and people for multilateralism in working together with the United Nations in keeping peace and security and on development and human rights issues. Ladies and gentlemen. Guten morgen und Grüss Gott. It’s a great pleasure to meet you today. Vienna is the place where we carry out vitally important work on some of the leading global challenges of our time. This morning I participated in the Third Ministerial Meeting on combating the illegal drug trade in Afghanistan and its neighbours. Tomorrow morning I will help commemorate the 15th anniversary of the Comprehensive Nuclear-Test-Ban Treaty. Austria plays a lead and vital role in the global fight against drug trafficking and organized crime. Austria’s active participation in and support for the Paris Pact conference particularly demonstrated in today’s Third Ministerial Meeting of the Paris Pact Partners is greatly appreciated. President Fischer and I covered many important issues, global issues and visionary issues in our wide ranging discussions. We also discussed the protection of civilians, particularly the need to help UN peacekeeping missions to discharge their mandates in this area more effectively. Defence Minister Darabos, President Fischer and I discussed the current situation in the Golan Heights where Austria is now sending the largest contingent to UNDOF. I am receiving daily reports from the Force Commander of UNDOF and they are now on full alert taking all necessary preparations considering what is happening in Syria. We also discussed the rule of law, an issue that Austria and President Fischer has been very active in promoting at the United Nations. I know this is something to which President Fischer attaches great importance, and I look forward to seeing President Fischer in New York in September for the General Assembly’s High Level Meeting on the Rule of Law – the first such event of its kind on this subject. I also thanked President Fischer for Austria’s strong support of human rights and also human security. Their contribution in the Human Rights Council is very much appreciated. And I expressed gratitude for Austria’s continued commitment to promoting peace and development in the Western Balkans, including Austria’s successful integration of 80,000 refugees from Bosnia and Herzegovina. I understand that President Fischer is also taking a very important initiative of visiting those countries including Croatia soon. We also discussed Libya, Iran and the Middle East peace process. On Syria, I continue to be gravely concerned at the level of violence and mounting loss of life. I call again on the Syrian government to comply with international humanitarian law and immediately end the shelling and use of force against civilians. The High Commissioner for Human Rights told the General Assembly on Monday, February 13th, that Syrian security forces have killed well over 5,400 people last year — men, women, children… military personnel who refuse to shoot civilians. Thousands more are reported missing; 25,000 people have fled to other countries; and more than 70,000 are estimated to have been internally displaced. Every day those numbers rise. We see neighbourhoods shelled indiscriminately. Hospitals used as torture centres. Children as young as ten years old jailed and abused. We see almost certain crimes against humanity. The lack of agreement in the Security Council does not give the government license to continue this assault on its own people. The longer we debate, the more people will die. During recent days, I have been meeting and speaking with world leaders in New York and here in Vienna. Yesterday, I had a telephone talks with Foreign Minister Ahmet Davutoðlu of Turkey. I am going to have a series of bilateral meetings with Russian Foreign Minister Sergei Lavrov of Russia and Alain Juppé of France, also Foreign Minister Michael Spindelegger of Austria and others. As you are well aware, the General Assembly is going to adopt a draft resolution to back up the Arab League efforts. The UN Secretariat and myself is now considering all the necessary options once either the General Assembly or the Security Council takes a decision on Syria. I commend the continued efforts of the League of Arab States to stop the violence and to seek a peaceful resolution of the crisis that meets the democratic and legitimate aspirations of the Syrian people. Once again, I urge the international community to speak in one voice: Stop the violence. Stop the bloodshed. On Sudan, I have been increasingly concerned by the lack of progress in negotiations on post-independence issues. The situation is both complex and precarious. That is why I welcome the signing earlier this week of a Memorandum of Understanding on Non- Aggression and Cooperation between the Governments of Sudan and South Sudan. I urge both Governments to maintain the positive spirit that led to this step. Neither country can afford a relapse into war. Any breakdown in trust will have profound humanitarian consequences. I will continue to do my utmost to avoid any further escalation and help both sides to reach agreements on all outstanding issues. Thank you very much. Danke schoen. Q: Mr. Secretary-General, you have repeatedly stressed the importance of a Security Council resolution condemning the Assad regime in Syria. 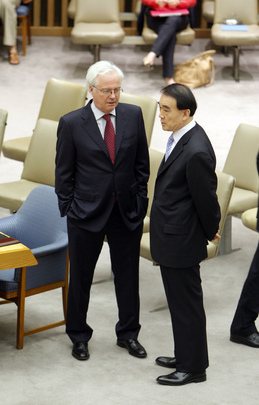 This afternoon, as you said, you have the possibility to talk to Mr. Lavrov, the Foreign Minister of Russia. What are you going to tell him concerning this matter? And what can a country like Austria do to support a solution in this crisis or in this civil war, as you might call it? Thank you. SG: It was a regrettable thing that the Security Council was not able to take the draft resolution taking coherent, and in one voice, one action but now this is behind us. We have to look for the future. Then we will discuss and assess the current situation what is happening in Syria. Foreign Minister Lavrov was himself in Syria discussing this matter seriously with President Assad and I appreciate such personal efforts. But what is important at this time is how the international community led by the United Nations can formulate the political framework where there will be a ceasefire, there will be an end of the violence and discuss how this situation could be resolved peacefully without causing any further violence to the people. The second important issue, and that is even more important at this time, how to provide humanitarian assistance to many people who have been affected, who really need support from the international community. We have a serious access problem we will discuss together with the world leaders how we can establish the humanitarian access. The Office of the Humanitarian Coordinator of the United Nations, OCHA, is now discussing this matter, taking all necessary measures to have some forward logistic support framework. We need support from the whole international community and there will be another important meeting “Friends of Syria” on February 24th in Tunisia. I hope this conference will also provide a political framework as well as how we can work on humanitarian support. These are all issues which I would like to have a very close coordination and discussions with Foreign Minister Lavrov and also with Foreign Minister Alain Juppé of France. Q: Mr Secretary-General, how do you view President Assad’s announcement of a referendum on the constitution? SG: I read that in the report. It’s their decision to have a referendum but what is his important at this time is that first the Syrian authorities must stop killing their own people, must stop violence. And this violence should stop from all sides whether by national security forces or by opposition forces. We are working on this political framework, this may be one of the elements which should be included, how they are going to have, what kind of a political system in future they should have, this referendum may be one of them. But what is most urgently needed at this time is first stop the violence and then discuss in an inclusive manner their political future and at the same time in parallel with this we should be able to provide humanitarian assistance to many people who really need the medical support, who really need all this basic necessary things. The VERBATIM of the UNSG presentation, “Empowering People in a Changing World” at the following invitation of the Austrian President as released by the Austrian Presidency Press Office. The following material we did not obtain by the UN Press channels. Thank you for this honor. It’s wonderful to be back in Vienna. There are many words to describe this city – historic … glorious … dazzling. But the first word that comes to mind when I think of Vienna is “home”. I’m at home in Vienna. I am at home here for many reasons. And professionally, because Vienna is a pillar of the United Nations – and at epicenter for global action. You are are one of four UN headquarters worldwide – and you host the International Atomic Energy Agency … the UN Office on Drugs and Crime …. The United Nations Industrial Development Organization … and the Preparatory Commission For The Comprehensive Test-Ban Treaty Organization where I served as chairman. But perhaps most of all, I am at home in Vienna because of your commitment to multilateralism … your ethic of engagement. So it is fitting that we gather here to talk about empowering people in our changing world. Occupy Wall Street … go indignados in Puerta del Sol … protests in Greece. Women demanding equal opportunity and participation. Young people worried about their future … fed up with corruption … and speaking out for dignity and decent jobs. Throughout these events, we called on leaders of the region to listen … to listen to their people. Some did – others did not, as we see in Syria today. From the very beginning, I talked with President Assad and urged him to change before it was too late. Instead, he declared war on his own people. Lack of access has Prevented the United Nations from knowing the full toll, yet credible reports Indicate more than 5.400 people were killed last year. Every day those numbers rise. We see neighborhoods shelled by tanks. Hospitals used as torture centers. Children as young as ten years old jailed and abused. We can not predict the future in Syria. We do know this, however: the longer we debate, the more people want to. I have been meeting and speaking with many world leaders, among them Mr. Alain Juppe and Sergei Lavrov, the Russian and French foreign ministers, here in Vienna today. There’s a broader lesson here, beyond Syria. Are we listening? Are we doing enough … fast enough? Last month, I announced an action agenda for the future. I outlined five imperatives for the next five years. Sustainable development is at the top of the list. This is critical to empowering people – to Eradicating poverty, generating decent jobs, expanding education, and protecting our fragile planet. I want to talk about this with you – at esteemed audience at all seasons of life. All of us – women and men … the young and what I might call the “formerly young” … – have a profound interest in getting this right. Nearly 90 percent of them live in developing countries youth – nearly one billion live in Asia and Africa. In places like Gaza, three out of four people are under the age of 25th In Iraq, one-quarter of the population was born since the start of the in 2003, alone. It is not a threat, it is an opportunity. Around the world, women educate the children … they are the key to healthy families … they are Increasingly the entrepreneurs. In my visits around the globe, I always make the case for greater women’s representation in Parliaments – including in the Arab world.Some suggest quotas or other special steps. There is plenty of evidence that shows how seeking temporary measures can make a permanent difference. We must not miss this opportunity to write more deeply into women’s rights the constitutional and legal framework in the Arab region and beyond. You will hear more about this as we approach the Rio +20 Conference on Sustainable Development. In my first five years as Secretary-General, I have nearly doubled the number of women in senior UN positions. Our top official Humanitarian and our top development official … our head of our top management … doctor … top lawyer … even our top cop … all are women. And at New York headquarters, we have the new UN Women – headed by the former president of Chile, Michelle Bachelet. I am also keenly aware that we have much more to do to empower women within the United Nations. And I am deterministic mined to keep building on our record. We can apply the lessons we learn from women’s empowerment for youth empowerment. Window dressing will not do it. Neither will band-aids politically expedient. The good news is …. it worked! A few months into the International Year of Youth, he heard the voice of his country’s young people – and so did the world. President Ben Ali was forced to leave office because he listened too late. Young people everywhere talk jobs. They want the dignity that comes from a decent work. That is why I pledge that the United Nations wants to go deeper into identifying the best practices and helping countries deliver on education, skills, training, and job-rich growth for young people. They are leading the way for sustainable development and green solutions. They are putting on the global agenda inequality. Above all, young people have told me they want a seat at the table. They want a real voice in shaping the policies that shape their lives. I am deterministic mined to bring the United Nations closer to people and make it more relevant to young people. That is one reason we want to expand the UN Volunteer Programme. Today, the average age of UN Volunteers is 37 – we will open the doors for young people and are looking for support. That is why I will appoint the first-ever United Nations Special Advisor on Youth. We need a top-to-bottom review our programs and policies are Sun working with and for young people. We need to pull the system together that Sun is pulling for youth. I will ask my Special Advisor to do just that. Let us recognize that addressing the needs and hopes of the world’s women and young people is not simply to act of solidarity, it is an act of necessity. We do not have a moment to lose. We have the world to gain. Here in this beautiful palace in the Redoutensäle, there is a painting. It covers the entire length of the ceiling – 400 square meters. And in it, the artist included the words of the esteemed Viennese poet Karl Kraus and his work “youth” – “Youth”. We all hold on to our youth. We remember with both sadness and sweetness the moment when the doors opened before us of the future. This is what carries us. This is what rejuvenates us. Let us pass that women dream to all the world’s youth and. We will do much more than empower people. We want to empower societies. And we will change our world for good. Japan – in Prime Minister Yoshihiko Noda speech at the UN he will talk about the Fukushima No.1 nuclear disaster and will announce the sending of military engineers to help South Sudan. Noda to schmooze with world chiefs at N.Y. meet. Prime Minister Yoshihiko Noda will make his diplomatic debut this week during a trip to New York City to attend U.N. meetings and hold bilateral talks with President Barack Obama and other world leaders. The prime minister will deliver a speech Friday at the 66th session of the U.N. General Assembly. During his four-day visit to the city starting Tuesday, Noda will at the United Nations outline the lessons Japan has learned about nuclear safety and disaster preparedness following the March disasters, government officials said. Noda, will deliver a keynote speech Thursday at a high-level U.N. meeting on nuclear safety and security, at which he will describe the ongoing efforts to bring the crippled Fukushima No. 1 nuclear plant under control, the officials said. Foreign Minister Koichiro Genba will also travel to New York City on Monday to attend a series of meetings and hold talks with his overseas counterparts. China is sounding out Japan over a visit by Vice Premier Li Keqiang in late October, sources familiar with bilateral relations have said. China hopes the visit would help improve ties ahead of the 40th anniversary next year of the normalization of bilateral relations, the sources said Friday. Japan is considering sending Ground Self-Defense Force engineers to South Sudan to take part in U.N. peacekeeping operations, government sources said Saturday. The government plans to soon send a survey team to the recently created country, and a dispatch would likely take place early next year, the sources said. Prime Minister Yoshihiko Noda is expected to unveil the plan to send a GSDF engineering unit to the African nation when he visits New York this week. Noda hopes the dispatch will demonstrate Japan’s commitment to tackling issues of international concern, the sources said. The prime minister plans to include the plan in his speech at the U.N. General Assembly session on Friday, and to discuss it with U.N. Secretary General Ban Ki Moon during their meeting, they said. South Sudan’s information minister, Benjamin Marial, said his country would welcome the dispatch of GSDF engineers. Marial described Japan as a friend of South Sudan, and said he hopes the GSDF unit would help build infrastructure such as roads and train the country’s military in carrying out construction work. The United Nations has sought Japan’s support in its nation-building efforts in South Sudan, which became an independent state in July. The survey team will gather information on local needs, the security situation and supplies of food and fuel, according to the sources. Based on the team’s findings, the government will be able to decide on specific details such as the size of the unit and its mission. When Ban visited Japan in August, he held meetings with then Prime Minister Naoto Kan and then Defense Minister Toshimi Kitazawa and requested that Japan send a GSDF engineering unit to the peacekeeping mission in the oil-rich African nation. At the time, Kitazawa said it would be difficult to send Self-Defense Forces engineers because they were engaged in rebuilding operations following the March 11 quake and tsunami, and some were participating in a U.N. mission in Haiti. Kitazawa said Japan would limit its involvement to dispatching two SDF officers in rotation to the U.N. mission headquarters. The government started sending GSDF engineers to the U.N. Mission in Sudan in 2008. The two officers have taken charge of managing logistics and a security information database at the mission’s headquarters. Some in the Defense Ministry are cautious about sending GSDF engineers to South Sudan at the present time because of the unstable security situation and the difficulty in securing supplies, the sources said. The Foreign Ministry, however, hopes the plan will be a highlight of Noda’s foreign affairs debut at the United Nations, and noted that the SDF’s full-fledged involvement in restoring Japan’s devastated northeast ended in August. Nelson Mandela Day is in his personal recognition – but please note that it did not clearly transfer also to the two Presidents that came after him. What has to be said will be said. Nelson Mandela honored with global call to serve – WorldWatch of CBS News. written by Pamela Falk on Mandela’s birthday. “Madiba continues to be a beacon for the global community, and for all who work for democracy, justice and reconciliation,” said Michelle Obama at the time, referring to Mandela by his nickname. For 2011, the U.N. is marking Mandela Day, and Mandela’s 93rd birthday, with a request: 67 minutes of community service, from everyone, in honor of the man who has given so much himself. The “Take Action! Inspire Change” campaign for Nelson Mandela International Day asks communities to take just over an hour for community service to honor Mandela’s 67 years of service, which culminated in his election as the first democratically-elected president of a post-apartheid South Africa. In 1993, Mandela, who was in prison for 27 years, was awarded the Nobel Peace Prize together with then-President of South Africa FW de Klerk, for their work for the peaceful termination of the apartheid regime, and for laying the foundations for a new, democratic South Africa. In New York’s Central Park, South Africa’s Deputy U.N. Ambassador, Advocate Doc Mashabane Mashabane, is planning to paint park benches with the help of other volunteers. Not tainting the day, U.S.-South Africa relations have soured recently over the issue of Libya and have been particularly edgy with the participation of South Africa as a non-permanent member of the U.N. Security Council. South African President Jacob Zuma has been critical of the U.N. resolution which is enabling the ongoing NATO bombing of Libya, which was meant to protect civilians. “We strongly believe that the resolution is being abused for regime change, political assassinations and foreign military occupation,” Zuma charged recently. Zuma was not available during the first lady’s trip to South Africa – widely seen as a missed opportunity, at best, and, at worst, a slight. Along with Russia’s President Dmitri Medvedev, Zuma has been trying to negotiate an end to the Libya conflict between Qaddafi and the rebel umbrella group, the Transitional National Council, which the U.S. formally recognized this past week. Regardless of current friction, Nelson Mandela International Day has taken off around the world in the two years since the U.N. created it. Mandela Day 2010: Make SA work, and fix our schools. Members of the public can donate money towards the restoration of local schools, as their way of commemorating Mandela Day 2010. On July 18 this year, all South Africans have been invited to give 67 minutes of their time to projects that honour the life and spirit of Nelson Mandela. The NGO Men On the Side of the Road (MSR) has thrown its full support behind the Mandela Day campaign. MSR is a marketplace for casual workers where men gather at organised collection points in seven cities across South Africa. MSR has decided to focus on the restoration of schools, as a way of linking with the education theme of this year’s Mandela Day. Customers in seven cities can visit MSR collection points if they are looking for workers, on a part time or contract basis, that are able, trustworthy and skilled in particular areas. MSR have verified all their skills and workers have identity cards on them at all time. With unemployment at critical levels, the MSR aims to facilitate the placement of skilled and semi skilled workers in part-time or full-time work. For as little as R120 per day potential employers can hire a reliable and trustworthy worker. Kratz hopes that members of the public will nominate a school in their community which is in need of restoration work. The money they donate will be used for work on that specific school, to help make quality education a reality for its learners. Donations can be deposited at Standard Bank, account name MEN ON THE SIDE OF THE ROAD, account number 070-956-383 (reference MD). The Republic of South Sudan applies for UN Membership. The Process starts in the UN Security Council that has also to decide on changes in the UN Mission in Sudan.. The process aimed at attaining United Nations membership got under way today for the Republic of South Sudan as the President of the Security Council referred the application of the world’s newest country to the body tasked with examining such requests. The Council’s Committee on the Admission of New Members met this afternoon to review the application, which was submitted by the President of South Sudan, Salva Kiir, on 9 July, the day the country formally separated from Sudan and became independent. “I have the honour, on behalf of the Republic of South Sudan and its people, in my capacity as President, to submit this application for membership in this esteemed body as a full Member State,” Mr. Kiir wrote in a letter sent to Secretary-General Ban Ki-moon. “The Republic of South Sudan accepts the obligations contained in the Charter of the United Nations and solemnly undertakes to fulfil them,” added the letter, which Mr. Ban referred to the Presidents of the Council and of the General Assembly. Any recommendations for admission must receive the affirmative votes of nine of the Council’s 15 members, provided that none of its five permanent members – China, France, Russia, United Kingdom and United States – vote against the application. If the Council recommends admission, the recommendation is presented to the 192-member Assembly, where a two-thirds majority of members present and voting is necessary for admission of a new State. Should South Sudan’s application be approved by the Council and subsequently the Assembly, the country of more than 8 million people will become the UN’s 193rd member. Membership becomes effective on the date the resolution for admission is adopted by the Assembly. In a related development, the Council today decided to close the six-year-old UN Mission in Sudan (UNMIS), which was set up to assist the parties in implementing the CPA, and called on the Secretary-General to complete the withdrawal of all its uniformed and civilian personnel, except those needed for its liquidation, by 31 August. In a unanimously adopted resolution, the Council emphasized the need for an orderly withdrawal of UNMIS following the 9 July termination of its mandate to pave the way for the new UN Mission in the Republic of South Sudan (UNMISS). The Council also requested the Secretary-General to transfer appropriate staff and supplies, including “the logistics necessary for achieving the new scope of functions to be performed,” from UNMIS to the new Mission and to the UN Interim Security Force for Abyei (UNISFA), which the Council set up last month to monitor the withdrawal of northern and southern troops from the region that is disputed by both sides. South Sudan will recognize Somaliland – at least they already extended an invitation to the Juba festivities to President Ahmed Siilaanyo of Somaliland. Somaliland, now on maps part of Somalia, tries to become the 55th African State. They had an official invitation from South Sudan at the July 9th Independence Day events in Juba. Our website has a space for Somaliland for quite a while as we look at peoples – not just lines on old colonial maps. Somaliland’s President Silanyo Official Guest for Saturday’s South Sudan Independence Ceremony. HARGEISA (SomalilandPress)—President Ahmed Siilaanyo received an official invitation from the president of South Sudan Salva Kiir to attend the Declaration of Independence of the Republic of South Sudan on the 9th of July, 2011. South Sudan is set to become the 54th nation in the African continent after long fought civil against Northern Sudan’s rule that saw thousands of lives lost and millions displaced. The invitation of Somaliland’s president Ahmed Siilanyo to South Sudan’s historic day has been welcomed with delight in Somaliland by both the government of Somaliland and its citizens. Somaliland believes it could use the south’s independence as a precedent as it seeks more support for its case for international recognition and become the 55th nation in the continent after South Sudan. Some foreign observers and politicians believe the Juba government will recognize Somaliland which will pave the way for other regional powers to follow.